Cardiff Deaf Centre have scooped £9,750 funding from the M&S Energy Community Energy Fund, beating six projects in the region to win the top prize. Cardiff Deaf Centre won the funding with 2591 public votes. This follows a six-week long campaign by the organisation calling on the local community to show its support after it was shortlisted for the national renewable community energy competition in July. 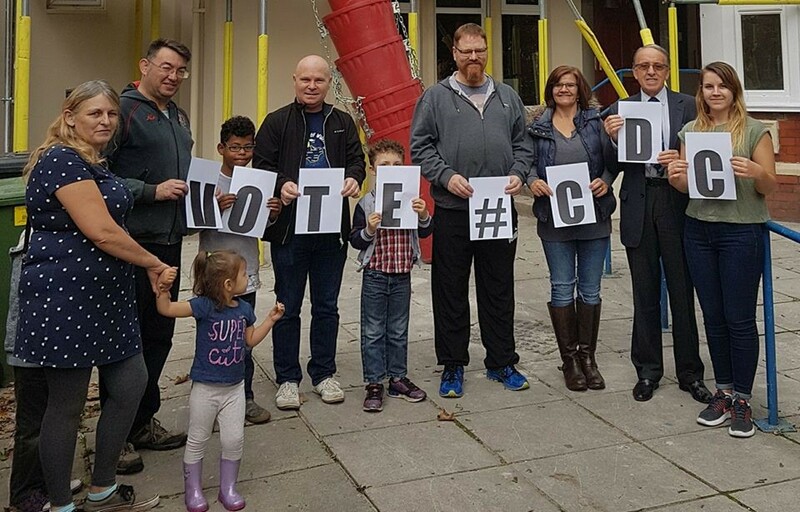 Cardiff Deaf Centre will use their winnings to embark on a refurbishment program of their historic community building, making it more energy efficient. The centre will install solar panels which will reduce their energy consumption and energy costs. These savings can be put straight back into the charity, enabling them to support user groups further. Dafydd Eveleigh, Chair of Cardiff Deaf Centre said, “It has been an amazing campaign watching the votes increasing. More importantly though, it has been amazing how the Deaf and hard of hearing community, not only in Cardiff, but in Wales and the UK have got behind us and supported our fundraisings and campaigning efforts. As the ‘home’ of social interaction for the Deaf Community, we foresee the new and improved centre becoming a hub for services & support for the Deaf Community in Cardiff and the surrounding areas.”2017 marks the third year of the M&S Energy Community Energy Fund, which donates up to £300,000 to support community renewable energy projects and technologies across the UK. This year saw over 180 community projects apply for funding with over 100,000 people voting for their favourite community energy project. As part of Plan A 2025, M&S Energy have committed to helping at least 200 communities to reduce their carbon footprint. M&S Energy awards a maximum of £12,000 worth of funding for regional renewable energy projects across the UK, determined by the public vote. A Judges’ Prize will also be awarded to the most innovative or inspiring projects selected from those that do not win through the public vote.